Please consider making a tax-deductible donation, a memorial donation, setting up a corporate-giving campaign, or donating the facilities or resources of your business for a fundraiser. You can also participate in a planned giving program. Invest in the future of your community and help secure services for the people who are supported by Community Care. You will know the satisfaction of helping others while enjoying the financial and tax advantages available through planned giving. A bequest to Community care in your will is the simplest and most common way to arrange a planned gift. there are different types of bequests. Almost any type of life insurance can be used as a charitable gift by naming Prince Edward Community Care as the owner or beneficiary of your policy. Give a gift or donation of a sum of money, with which an annuity is purchased. The donor receives an income, usually for the rest of his or her life. On the death of the donor, Community Care receives the balance of the annuity. An approximate tax deduction (receipt) is available at the time of purchase. Golden Wedding Anniversary ... 90th Birthday ... Happy Retirement ... An Award for Volunteer Work in the Community. A donation to Community Care for Seniors is a perfect way to honour a friend or family member's milestone or achievement. Your gift will be receipted for income tax purposes. An easy way to provide ongoing support for Community Care is to establish month giving. Just send us a cheque marked "VOID" along with your written instructions about the monthly amount you wish to donate. your donation can than be paid directly to the agency on a monthly basis. A charitable receipt will be issues annually or more often if you wish. Call Community Care for Seniors at 613-476-7493 for more information. 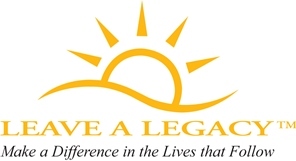 "When choosing to leave a gift in your Will for a Charity, you are providing critical financial support that will have an enormous impact on your community today and tomorrow. Leaving a gift in your Will may be one of the most fulfilling decisions you will ever make, while realizing tax savings and benefiting future generations for years to come. – it’s easier than you think.